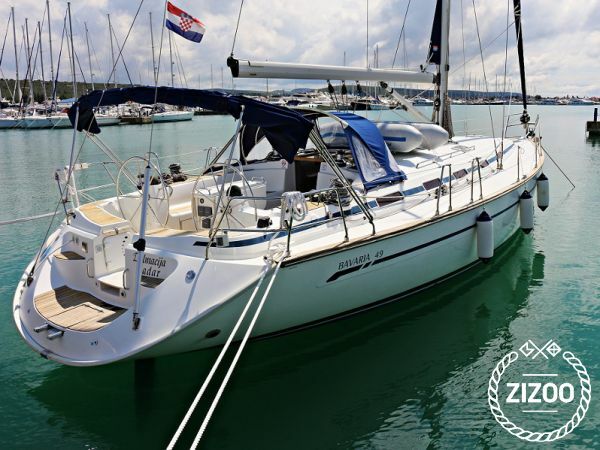 This Bavaria 49 is an ideal charter yacht for a boat holiday in Sukosan. Whether travelling with family or friends, the Bavaria 49 offers plenty of room for you and up to 11 other guests. Explore Croatia in style and comfort as you enjoy island hopping or travelling along the coast. Featuring 3 double cabins, two cabins with bunk beds and a convertible salon, this yacht will ensure a pleasant night’s sleep whether you are anchored in a tranquil cove or marina. Start planning your boat holiday in Sukosan aboard this lovely Bavaria 49 with our destination guide and sailing routes in Croatia.